Scotland’s national drink is unmistakably Scotch whisky, but the booming popularity of Scottish gin is prompting distilleries to diversify. Becky Paskin reports. 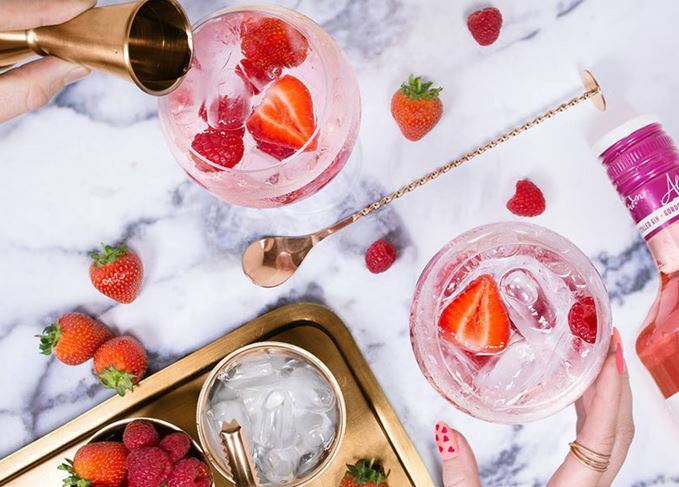 Scotland is said to provide 70% of the UK’s gin, which is no surprise given that some of the biggest brands, including Gordon’s, Tanqueray and Hendrick’s, are made north of the border. But did you know that all three – and many others – are produced at Scotch whisky distilleries? The neutral spirit needed to produce gin is essentially made in the same way as whisky, but distilled to a higher abv. The mostly flavourless spirit is then infused or redistilled with any number of botanicals, including juniper, to make gin. Some whisky distilleries buy in neutral grain spirit (NGS) from suppliers in Scotland or England, and will rectify their gin on-site in adapted copper pot stills used for whisky, or in dedicated gin stills. Others go one step further and make their base spirit themselves to their own preferred specification, sometimes using organic barley or rye in their mash to obtain a certain flavour profile. For many new distilleries, gin has proved a necessary side hustle while they patiently wait for their whisky to mature; however, not all Scotch distilleries producing gin are new. Many well-established sites have only recently begun gin distilling as the gin boom continues to swell, while others have been producing their own brands for decades. Although the Stirling family have been farming at Arbikie on Angus’ east coast since the 1920s, they only began distilling on the site in 2015. The first release was a potato vodka using produce grown on the farm, but today Arbikie distillery distils single malt whisky, rye whisky and gin. The small farm distillery produces two main styles of gin. The first – Kirsty’s Gin (43% abv; £35) – is distilled using local botanicals including kelp, carline thistle and blueberry, all selected by master distiller Kirsty Black. The second – AK’S Gin (43% abv, £35) – is distilled using honey and wheat farmed at the site, along with black pepper, mace and cardamom. Balmenach was one of the first illicit distilleries in Speyside to take out a licence in 1824, following the introduction of the Excise Act a year earlier. Today the distillery produces a rich, meaty single malt for the variety of blends made by owner Inver House Distillers. However, it has also been producing a Scottish gin since 2009. Caorunn (41.8% abv; £27) is a ‘Celtic’ gin – the name means ‘rowan berry’ in Gaelic – containing 11 Highland botanicals including bog myrtle, heather, Coul Blush apple, dandelion leaf and, of course, rowan berry. The Botanist is another Scottish gin that draws upon local botanicals to reflect its environment. Produced at Islay’s Bruichladdich distillery on an old Lomond still (named Ugly Betty) rescued from the demolished Inverleven distillery, The Botanist (46% abv; £32) is the island’s first and only gin. Launched in 2010 – some 130 years after the distillery was founded – the spirit contains 22 wild foraged botanicals, including apple mint, camomile, elder and lemon balm, built around a core base of berries, barks, peels and seeds. When statistics talk of Scotland producing more than 70% of the UK’s gin requirements, the majority comes from Diageo’s Cameronbridge grain distillery in Fife. The home of David Beckham’s Haig Club, it was built in 1824 and is the largest grain distillery in Europe, as well as being the home of Gordon’s gin (37.5% abv; £16), the best-selling gin in the world – despite the controversial lowering of its abv from 40% in the UK in 1992. Gordon’s is triple-distilled with juniper, angelica, coriander and one other botanical, but the complete recipe is known to only a select few. From its roots in Southwark, London in 1769, the Gordon’s range has grown to include an export strength version of the classic, a Sloe Gin (37.5% abv; £16), Elderflower Gin (37.5% abv; £16) and, as of last year, a Pink Gin (37.5% abv; £16) that’s infused with the flavour of raspberries and strawberries. Cameronbridge also produces the more premium Tanqueray London Dry Gin (43.1% abv; £18), which is made using only four botanicals, according to a recipe created by Charles Tanqueray in the 1830s. The super-premium Tanqueray No Ten (47.3%; £30) is named after the stills it’s produced in, and is a favourite of bartenders in classic Martinis and Negronis. The range also includes the India-inspired Tanqueray Rangpur (41.3% abv; £28) and orange-infused Tanqueray Flor de Sevilla (41.3% abv; £30). Brothers Phil and Simon Thompson have been bottling their own whiskies since the early noughties, and transformed a former 19th-century fire station at Dornoch Castle Hotel into a distillery in 2015. The first product released from Dornoch distillery in 2017 was a limited run of Dornoch Experimental Gin, a small-batch series of bottlings created using organic floor-malted barley distilled entirely on-site (no bought-in neutral grain spirit). The brothers released several batches, calling for feedback on each one from their customers to shape their first permanent release, Thompson Bros Organic Highland Gin (45.7% abv; £32). Based on a blend of organic floor-malted malt spirit and organic neutral grain spirit, the gin features traditional gin botanicals such as angelica root, juniper and coriander seeds, with meadowsweet, elderflower, black peppercorns and freeze-dried raspberries. Fife’s Eden Mill Brewery was established in 2012, but with the addition of distilling equipment became Scotland’s first combined brewery and distillery in 2014. Its first release was Eden Mill Hop Gin (46% abv; £32), made with the Australian Galaxy hops used in its beer, but the fledgling site has gone on to present an enviable range of gins and gin liqueurs in flask-style bottles. The core range now includes Eden Mill Original Gin (42% abv; £35), a London dry style made using sea buckthorn berries grown near St Andrews; Love Gin (42% abv; £30), a pale pink gin made with rose petals and hibiscus; Golf Gin (42% abv; £30), containing botanicals inspired by the St Andrews golf course, such as seaweed, pine needles, gorse flower and heather; and Oak Gin (42% abv; £30), which has been aged on oak chips made from the brewery’s beer barrels. Earlier this year, Eden Mill introduced its inaugural single malt, a limited edition three-year-old matured in Bourbon barrels and PX and oloroso Sherry hogsheads. William Grant & Sons’ newest distillery was built on the Ayrshire coast in 1963, tasked with producing grain whisky for the family’s Grant’s Standfast blend. It wasn’t until 1999 that a Carter-Head and pot still were installed to produce the firm’s first gin, Hendrick’s (41.4% abv; £28). Made using a distillate of traditional gin botanicals with the addition of rose and cucumber essence, Hendrick’s – with its readily recognisable black opaque bottle – has become one of the best-selling gins worldwide. Girvan, meanwhile, continues to be used as a filing for blends, and was launched as a single grain whisky in 2014. The multifunctional site is also home to the Ailsa Bay single malt distillery. The Glasgow Distillery Company claims Makar gin (43% abv; £33) is the first to be distilled in the city of Glasgow – a surprising claim, considering Makar was only launched in 2014. The gin, which takes its name from the Scots Gaelic for ‘maker’, is distilled in small batches using seven botanicals in ‘Annie’, the distillery’s dedicated copper pot still. Glasgow distillery also produces Makar Old Tom gin (43% abv; £35), a sweeter style made with the addition of orange peel, almonds and honey. The site’s first whisky, 1770, was launched in 2018 as a limited edition run of 5,000 50cl bottles. The first GlenWyvis gin was launched in 2015 from a helicopter to announce a new community-funded distillery in Dingwall. It was produced at Saxa Vord distilley in Unst for the occasion – GlenWyvis distillery’s first gin didn’t arrive for another three years, once the site was up and running. A 100% sustainably-powered and community-owned distillery, GlenWyvis was created to give something back to the local community, so it’s fitting that its first gin is named Goodwill (40% abv; £36). Distilled using nine botanicals, including exotic fruits and locally-picked hawthorn berries, Goodwill gin is a precursor to the single malt that will eventually be bottled at GlenWyvis. A second limited edition gin, NC500 (50% abv; £28) was bottled in honour of the popular 500-mile Highland coastal route. While the relatively new Isle of Harris distillery predominantly makes single malt whisky, its first official bottling won’t be released ‘until it’s ready’. In the meantime, its star export has been the beautifully designed Harris gin (45% abv; £37). Created using locally – and ethically – foraged botanicals, the gin takes its inspiration from the sea, its main ingredient being ‘hand-harvested’ sugar kelp. In limited supply, the gin is really only available through the distillery’s website, or at the visitor centre itself. While you’re there, you may want to pick up a couple of rocks glasses inspired by the eye-catching bottle’s design. For years, the Darnley’s range of gin was produced in London under contract. However, in 2017 the Wemyss family brought production up to Scotland, to a new site adjacent to their new Kingsbarns distillery in Fife. The core range features three London dry-style gins based on British grain spirit, which is distilled with a selection of botanicals in a small, 300-litre pot still. Three expressions are produced at Kingsbarns: the original Darnley’s Gin (40% abv; £28), a light, citrus-forward expression; Darnley’s Spiced (42.7% abv; £30), made using 10 ‘warming botanicals’ from Africa, Morocco and China; and Darnley’s Spiced Navy Strength (57.1% abv; £40), which features more juniper – and a higher strength – than the original spiced variant. Kingsbarns distillery, meanwhile, is releasing its first single malt – a three-year-old matured in first-fill ex-Bourbon barrels – to its Founders’ Club members this summer. The distilling arm of Scottish brewer Brewdog switched on its stills in 2016, producing a combination of spirit types including vodka, whisky and gin. The Lone Wolf distillery in Ellon was one of the first in Scotland to begin experimenting with distilling rye whisky, and, once mature, intends for the product to become a permanent addition to its range. In the meantime, Lone Wolf’s gin (44% abv; £33) has quietly become a staple product for the producer, which mashes and distils its base spirit on-site. The spirit is then re-distilled with a selection of botanicals including Scots pine, grapefruit peel, lemon peel, Thai lemongrass, pink peppercorn, kaffir lime leaf, mace, almond and lavender flower, for a citrusy, delicately-spiced floral style of gin. Although Speyside distillery is one of the quaintest-looking in Scotland, it is also one of the newest, having been completed in 1990. The spot in Kingussie, at the foot of the Cairngorms, produces single malt whisky for the Spey and Byron’s brands, but in recent years has turned to rectifying gin as well, in its existing copper pot stills fitted with a botanicals basket. Byron’s gin – named after the famous poet ­– was launched in late 2017 in collaboration with the Botanical Society of Britain and Ireland (BSBI), which consulted on a range of local botanicals recorded in the Cairngorms. The gin was launched in two varieties – Bird Cherry (43% abv; £43), which features lemon-scented fern, lady’s-bedstraw, rowan, wild thyme and blueberry; and Melancholy Thistle (43% abv; £43), which includes sweet vernal-grass, Scots pine, rowan, downy birch and aspen. Like many modern, small whisky distilleries, Strathearn has chosen to supplement its business with a small-batch gin while it waits for its maturing whisky stocks to come of age. From ‘probably’ the smallest whisky distillery in Scotland, each small batch of gin yields only 280 bottles, leaving Strathearn’s biggest product in short supply. Presented in colourful matte bottles, Strathearn gin (47% abv; £38.50) is a ‘strongly’ juniper-led spirit created using botanicals such as calamus root, grains of paradise, orange peel, rose petals and honeyberry. The distillery also produces a Heather Rose gin (40% abv; £36), which is said to take on a pink hue when tonic water is added; an Oaked Highland gin (60.5% abv; £42); Citrus Gin (40% abv; £36); and ImaGin (43% abv; £32), made using iodine-rich botanicals in collaboration with SINAPSE (Scottish Imaging Network: A Platform for Scientific Excellence). Strathearn distillery also produces Dunedin, a Scottish rum. The new Ncn’ean Botanical Spirit infuses new make spirit with local botanicals and juniper. Is gin a serious threat to Scotch? Could gin soon be more popular than Scotch in the UK? Let’s all calm down, says Richard Woodard. The distillery has launched a new flagship whisky and a gin as it prepares to restart production. Is gin the future of Japanese whisky? Shortages, price hikes and ‘dodgy’ brands – Japan’s whisky makers face difficult days.